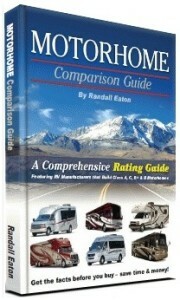 ClassBMotorhomes.Guide.Com operates under the corporate name of J R Consumer Resources Inc. Both of these publications met a need in the factory-built housing industry, filled with comparisons of the manufacturers and helpful buying tips for the consumer. Mr. Eaton had found his niche, researching, he spends thousands of hours online over the course of a year and enjoys it. Ironically Mr. Eaton received countless requests for a guide on recreational vehicles. His own father shared with him that he needed to write a guide for RVs after his father bought his own RV and then sold it and then bought a different one. His father thought if Randall would put forth a guide then maybe it would help consumers from making costly buying mistakes. After much deliberation Mr. Eaton decided to rate the manufacturers in the RV industry similar to how he rated them in the factory-built housing industry. Thus the RV Comparison Guide was born. It has grown over the years from publications rating all the classifications for different model years to the more recent dividing the classifications into two products: Towable Guide and Motorhome Guide. With these new products we have combined all the years into one book and added a Class B category into the motorhome publication. 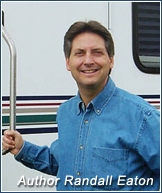 We believe our guides will help consumers make informed decisions when looking for an RV. It really starts with a quality manufacturer and our research will help you in determining which manufacturer to look at. Our Motorhome Comparison Guide is only offered through our website and can be purchased as an E-book (PDF) or a Printed Copy (FREE SHIPPING – Except Internationally). Our guide is not available in book stores or department stores. Our company is continually updating our RV guide; a dedication which enables us to provide our readers with the most accurate information.